Family man Clark Griswold decides to take the wife and kids on vacation, driving them cross-country to visit a popular theme park. What happens as a result is a disaster of epic proportions. Chevy Chase starred in a slew of unforgettable 1980's comedies, and Vacation is no exception - it's a must-see for all fans of comedy. 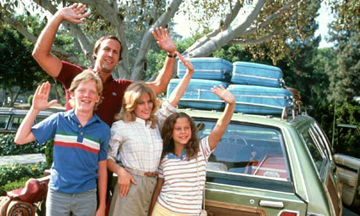 You may know that Hamburger Helper does just fine by itself, but how well do you know National Lampoon's Vacation?